TourMagination has a wonderful community of open-hearted, like-minded travellers who like to engage with people around the world. 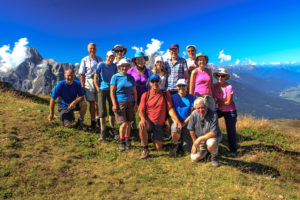 Our group tours led by passionate, knowledgeable tour leaders, give you access to unique experiences in places that may be hard to navigate on your own. Receive notice about upcoming tours when you sign-up for our e-newsletter. Hear from tour leaders and read travel-related articles in our three times/year Discovery Newsletter. Please send me e-updates 2-3 times per month. Please send me Discovery e-newsletter 3 times per year. TourMagination helps Mennonites and other Christians explore, experience, and expand their worlds. Learn more about us, discover the benefits of group travel, or browse our upcoming tours.